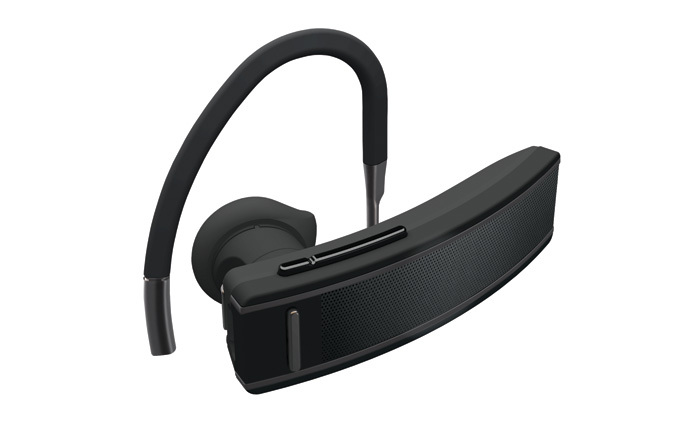 BlueAnt Wireless introduced its newest Bluetooth headset – the Q2, featuring company’s next generation voice control and fully integrated text-to-speech technology as well and noise cancellation Wind Armour technology. The new headset has dimensions of 55.5 x 15.8 x 8.75 mm, weights 11g with the ear hook, works on 2.4 GHz frequency and has up to 10 meters (33 feet) RF coverage. 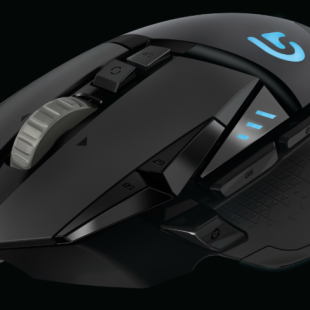 Comes with rechargable Lithium Ion battery, which allows up to 5 hours talk time and up to 100 hours standby time, and charge for 3-4 hours. 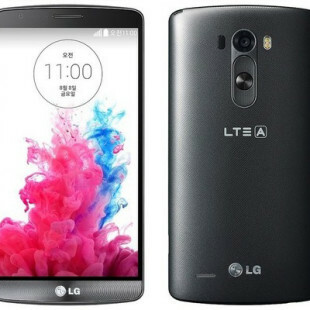 The BlueAnt Q2 allows users to use multiple voice commands for easily control of their device, make and receive calls. When you receive a phone call , you can simply say “Answer” or “Ignore.”, or just “Phone Commands” to activate phone’s voice-dialing features. With “caller name announce” feature, the headset can read the name of incoming callers from a database of up to 2,000 mobile phone contacts, which are transferred automatically when the phone and headset are paired. 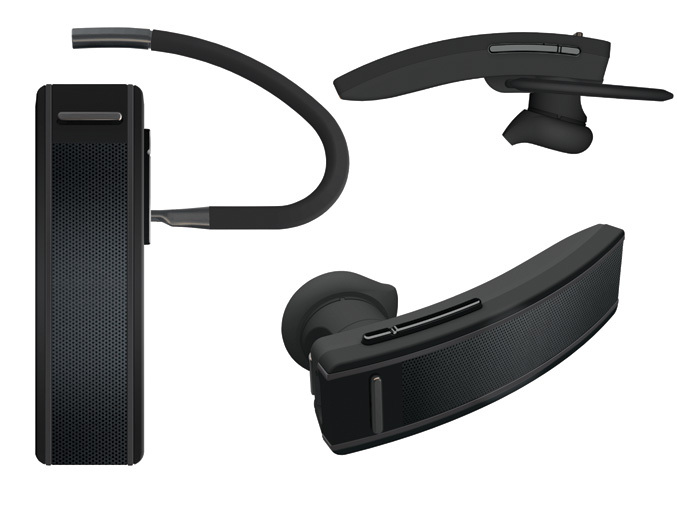 The headset is capable to provide wind noise reduction at up to 22 miles per hour, thanks to BlueAnt’s Wind Armour Technology which combines patent-pending design features and advanced noise cancellation software , as well and Dual microphones that utilize BlueAnt’s Voice Isolation Technology. The BlueAnt Q2 also has integration with Microsoft Bing 411 for instant access to news, stock quotes, weather, sports and traffic updates, and supports a free downloadable Android. 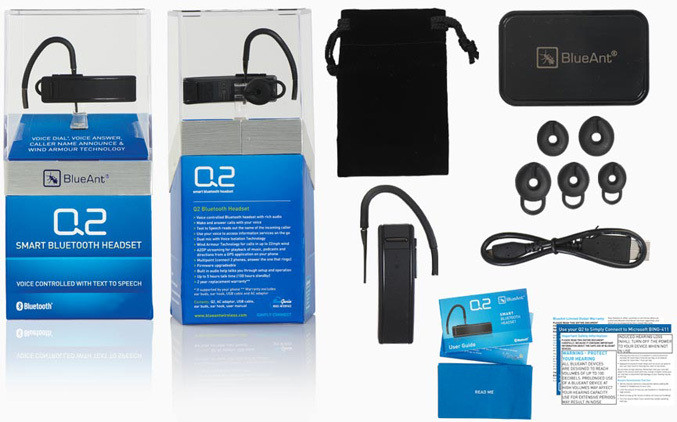 The BlueAnt Q2 is available at AT&T stores for$129.